Scientists are becoming increasingly concerned about the increase in the tick population in 2017. More ticks likely means more tick-borne infections like Lyme disease and a virus you may not have heard of—Powassan virus. Powassan virus, also known as POW virus, is an RNA virus that’s related to some mosquito-borne viruses like West Nile virus, but Powassan virus is transmitted to humans by tick bites. The ticks become infected when they bite infected animals. The staff at our functional medicine clinic near Milwaukee wants you to know more about this little-known virus. The Centers for Disease Control and Prevention report that the state of Wisconsin reported 22 cases of Powassan virus between 2006 and 2015. Powassan virus is rare, but it can be deadly. There have only been 77 cases of Powassan virus reported to the Centers for Disease Control and Prevention between 2003 and 2015, but 10% of people who developed Powassan virus encephalitis died. Certain populations have a higher risk of developing serious complications. Anyone can get Powassan virus, but children, the elderly and those with compromised immune systems have a higher risk for serious complications. Tick bites occur in any area where the ticks live – not just in rural or remote areas. At our functional medicine clinic near Milwaukee, we hear patients express surprise that they are in danger of getting tick bites in their suburban backyards or urban parks, but ticks live anywhere that their hosts do; host animals include deer, squirrels, wood-chucks and white-footed mice. Take steps to avoid tick bites and always check yourself, family members and pets for ticks after being outdoors. 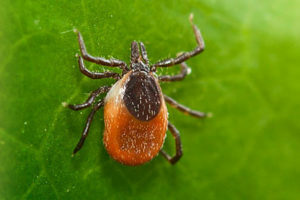 Powassan virus symptoms usually occur between one to two weeks after a bite from an infected tick. If you or your family members exhibit symptoms of Powassan virus, even if you are not certain that you have had a tick bite, contact us at our functional medicine clinic near Wisconsin.